Sri Lanka-based Amãna Bank has gone live with new treasury and asset management software, supplied by Path Solutions. The new products, iMAL Islamic Treasury and iMAL AssetManagement, replaced a legacy treasury and equity management platform at Amãna. Banking Technology understands that this was Sungard’s Ambit Treasury Management. The new software interfaces to Swift and supports all Islamic treasury requirements of the bank across a range of products, including FX, promissory FX operations, MM and equity investments, says the vendor. Path is long-standing supplier to the bank, with its flagship iMAL core banking system running at Amãna for over a decade. It is also Path’s first and only customer in Sri Lanka. The bank’s assistant vice-president, IT, Rajitha Dissanayake, describes Path as “a dedicated partner” and the bank as “a happy client”. “It wasn’t an easy task given the challenging timeframe of 24 days for system replacement, but things were made easy with the high level of professionalism and dedication shown by all stakeholders,” Dissanayake states. 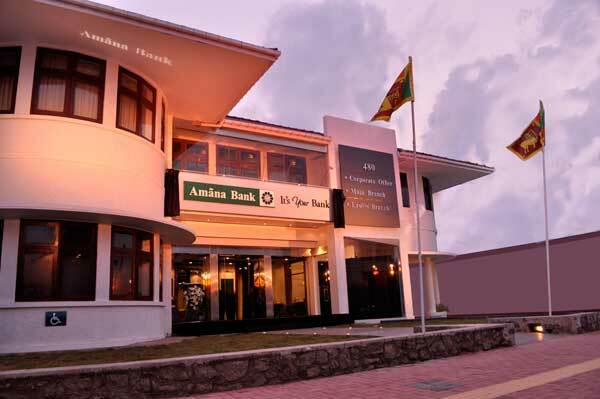 Amãna is the country’s first and only fully-fledged Islamic bank. It positions its products as “responsible, ethical and fair”. It was set up in 2009. Today, it has 170,000 customers, 24 domestic branches and 1,800 ATMs. Its main shareholders include Malaysia’s Bank Islam, AB Bank from Bangladesh and Islamic Development Bank, a development financing institution based in Saudi Arabia.